Blogging has brought to us a lot of benefits; for instance, we have finally found a way to organize and track our recipes. The biggest bonus though is that we have made new friends from far away places. Places we would have never imagined having a friend in. One very generous banana sent these delicious crunchies that tickled not only my palate but my memory as well. 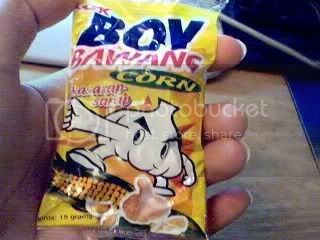 I remember buying these from street vendors back in the Philippines. These were our favorite after school snack then, and it turns out, it is for my girls too! They devoured these in no time. 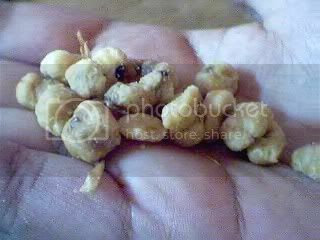 Thank you for the delicious, garlicky corniks, Tita Santos! yum, tagal ko nang hindi nakakain ng cornik. bloghopping here, hi!